Kiln drying of lumber is perhaps the most effective and economical method available. Drying rates in a kiln can be carefully controlled and defect losses reduced to a minimum. 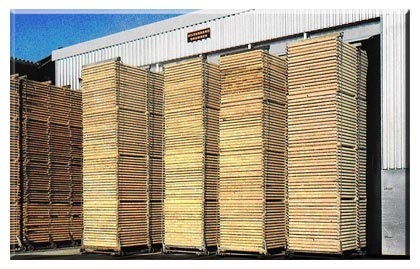 Length of drying time is also greatly reduced and is predictable so that dry lumber inventories can often be reduced. Where staining is a problem, kiln drying is often the only reasonable method that can be used unless chemical dips are employed. In the progressive kiln, timber enters at one end and moves progressively through the kiln much as a car moves through a tunnel. Temperature and humidity differentials are maintained throughout the length of the kiln so that the lumber charge is progressively dried as it moves from one end to the other. 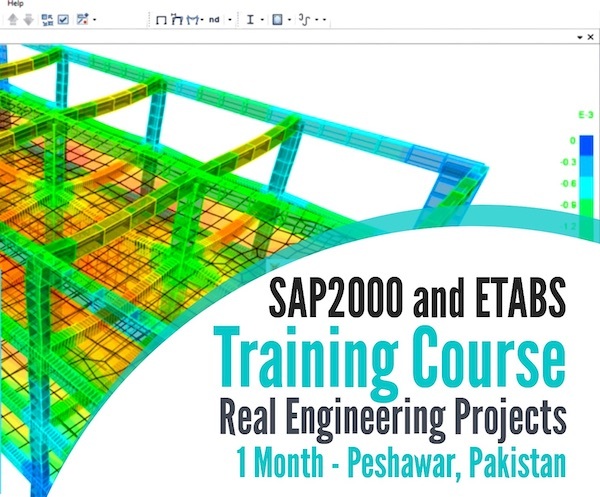 Progressive kilns may be further subdivided into natural draft kilns in which heated air is allowed to rise through the material by natural convection, and forced draft kilns in which fans are employed to force the air through the wood. A progressive kiln has the stack on trolleys that ‘progressively’ travel through chambers that change the conditions as it travels through the varying atmospheres. A number of commercial processes for seasoning of timber are available, the most common of which is kiln-drying. Kiln seasoning accelerates the process of seasoning by using external energy to drive the moisture out. The timber is stacked in much the same way as it is for air drying, and is placed inside a chamber in which the conditions can be varied to give best seasoning results. Air is circulated around the charge (stacked timber) and the temperature and humidity can be varied to give optimum drying. Each species has different cell characteristics and therefore requires different drying schedules. Typically the timber may be in the kiln for a period of between two days to one week. Plenty of research is continually being done to determine kiln drying schedules for different species. An optimum schedule will remove the moisture as quickly as possible, with the minimum quantity of introduced energy, and giving minimum damage to the dried timber. After kiln seasoning, there is often some damage to cells near the surface of the wood. (All of the moisture passes through those cells.) They have in fact collapsed, but can easily be ‘pumped back up’ in a reconditioning chamber. This chamber introduces steam for a period and puts some moisture back into the outer cells and removes the effect of seasoning collapse. Hard woods have closed cell structure, so take more time in being seasoned and dried. Conventional kiln-drying for hardwoods uses temperatures well below the boiling point of water. This avoids damage to the wood fibres which, if the seasoning is not properly controlled, can experience loss of strength. In seasoning hardwoods, the process is slow and can be economically undertaken by first of all air-drying or partially seasoned for a period which can be anywhere from 3 to 9 months, depending upon the thickness of material, the ambient temperature and humidity and the species. The partial seasoning process can be accelerated for some hardwoods by using fan-forced pre-drying in a controlled (but not kiln) environment, to reduce the lead time for kiln-drying to 20 to 30 days. Once the sawn hardwood material reaches fibre saturation point or slightly below (at a moisture content of about 20% to 25%), it is then placed in kilns usually for up to 10 - 14 days (depending upon the thickness of the sawn timber) in order to bring the moisture content down to between 10% and 15%. This drying process must be strictly controlled and monitored in order to avoid drying degrade. The amount and duration of air, heat and humidity again depends on species, size, quantity, etc. 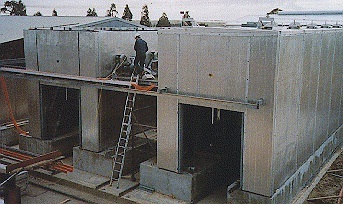 A compartment kiln is a single enclosed container or building, etc. The timber is stacked as described above and the whole stack is seasoned using a programme of settings until the whole stack is reduced to the MC required. Compartment kilns differ from progressive kilns in that the timber is loaded into the kiln and remains in place throughout the drying process. 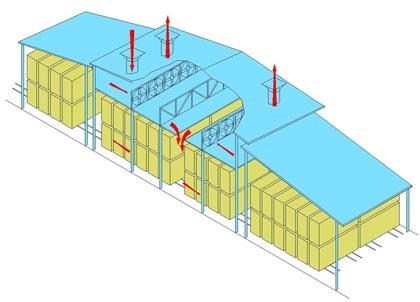 Compartment kilns are usually smaller than progressive kilns, and because of their construction the temperature and humidity conditions within them can be closely controlled. Consequently, they are often used to dry expensive material or woods which are difficult to dry. Circulation may be either forced or natural just as with progressive kilns. 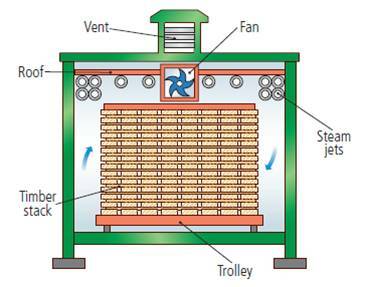 Drying conditions cannot be controlled as closely in natural draft compartment kilns, however, as in forced draft kilns, and the rate of drying is also slower. For these reasons kilns built today are of the forced draft type and many of the old natural draft types have been converted.